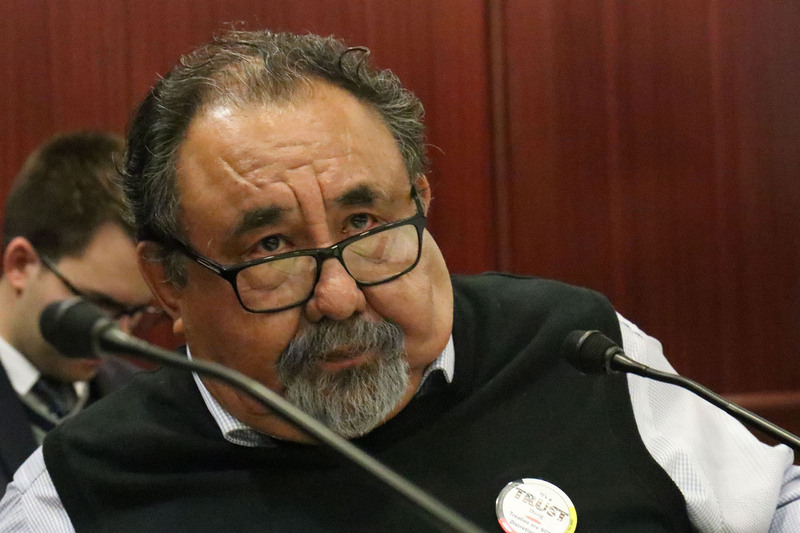 WASHINGTON — Rep. Raúl Grijalva is on board with young House Democrats pushing for a “Green New Deal” to combat climate change. At a hearing on Capitol Hill Wednesday, the Arizona Democrat and chairman of the House Natural Resources Committee defended his younger colleagues after a Republican accused them of naiveté in their demands for ambitious action to curb greenhouse gas emissions. The general thrust of a Green New Deal — fighting climate change by transitioning the U.S. energy sector away from fossil fuels while boosting jobs in clean-energy technologies — has been embraced by a range of Democrats, including House freshmen and presidential candidates. One of its most vocal supporters is 29-year-old Rep. Alexandria Ocasio-Cortez (D-N.Y.), who is expected to soon unveil formal legislation. He can’t understand how “adults and grownups, who are more mature,” would also be advocating for the plan, he said. Democratic presidential hopefuls including Cory Booker, Elizabeth Warren and others have also backed the idea. The Natural Resources panel was one of two House committees to hold climate change hearings on Wednesday. They marked the first House hearings on the topic since Republicans took control of the chamber in 2010. Democrats have pledged to shine a spotlight on the issue after winning back the chamber in November. He accused the Trump administration of choosing to “mock science” and “mislead the public” on the impacts of global warming, while expanding fossil fuel production on public lands and rolling back protections for air and water. “Climate change is an urgent problem, it demands urgent action and an urgent sense of purpose from Congress,” he said. The committee has scheduled six climate change hearings for this month. Rep. Rob Bishop (R-Utah), the committee’s ranking member, joked about Grijalva having picked February as the month of climate change action. “I appreciate the fact that you picked the shortest month of the year to do that,” Bishop said. Democrats who even agree with AOC on this green new deal, need to have their heads examined because it simply will not work, either financially or practically. Can you imagine trying to rebuild every building in the US, AND scrapping every airplane in favor of trains (even across the ocean), and get rid of all the cows because of their farts, and do it all within 10 years???? If you agree with this plan, you deserve to pay for all of this out of your 80% or even 90% income taxes….